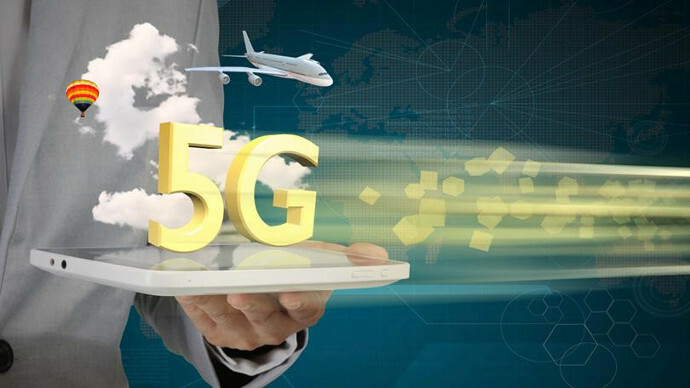 The 5G Standards target billions of new devices that will connect to operators’ networks over the next decade and beyond. Each device type serves a use case that can be high-volume with low throughput requirements, or low-volume but high-value from a customer’s point of view. The list of use cases keeps growing as new types of devices are added to the network, and as existing devices find new use cases with embedded mobile connectivity. 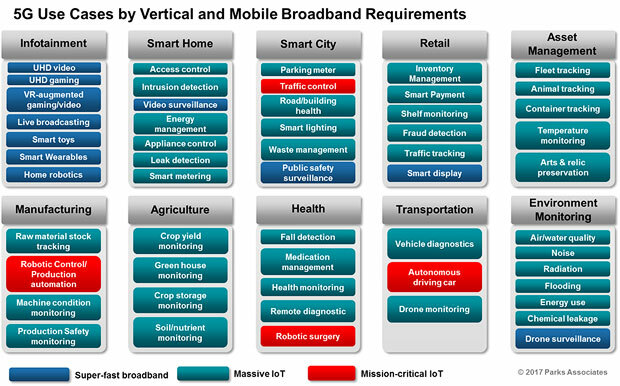 There are more than 50 IoT use cases that can be better served by next-generation mobile broadband networks, according to Parks Associates, which grouped the use cases by industry vertical and coded them in three different colors to illustrate requirements on mobile broadband connectivity. 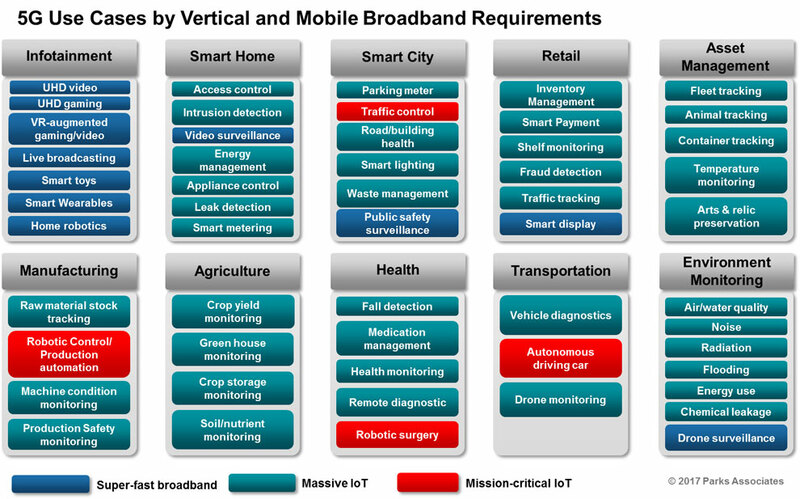 These 10 industry verticals are the early beneficiaries of IoT technologies, and mobile broadband connectivity can establish these use cases’ value propositions to customers. For example, a large vineyard owner might desire a crop yield monitoring solution that could integrate sensors to monitor how temperature, sunlight, humidity and soil quality affected the grapes’ quality and yield. Mobile operators must adapt their IoT business models to meet customer needs, and find a mid-point where the value of IoT use cases for customers align well with operators’ IoT investments. In other words, operators must consider how much value their network and IoT solutions bring to their customers before looking for a billing model. The operator could offer data analytics services to help the vineyard owner increase grape yield, or provide IoT solutions in other areas of the business: storage, fermentation process, bottling, transportation and more. This example shows that mobile operators would benefit from adding new skills and service capabilities complementary to IoT businesses, instead of banking on providing network connectivity alone. Kristen Hanich is a research analyst at Parks Associates.